Rheo-microscopy is an established technology for visualizing the inner structures of samples while applying shear and deformation forces. 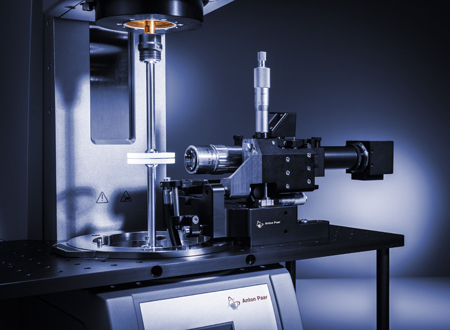 MCR 702 TwinDrive with the rheo-microscopy setup is the first commercial rheometer system to perform measurements in counter-rotation mode, producing a stagnation plane where the sheared structure remains at a fixed position. This stagnation plane constantly keeps the focused structure in the microscope’s field of view while accurate rheological data is obtained. MCR 702 TwinDrive is equipped with a microscope holder mounted onto a board for fixing the optical system. This is the same setup used for single-drive rheo-microscopy, which means that polarized, non-polarized and fluorescence microscopy is also available in the TwinDrive setup. 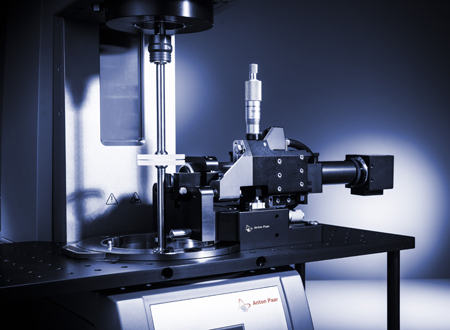 The holder is movable in the x- and z-direction for sample scanning in radial direction and focusing. 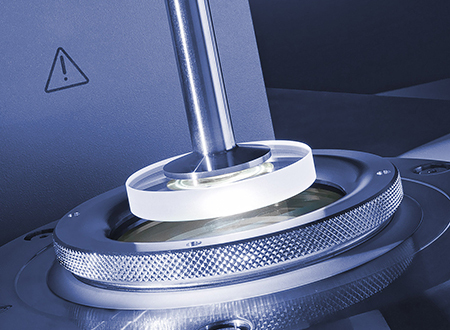 Beside the possibility of sample focusing through the lower plate via a mirror, the system can also be positioned to focus into the sample gap from the side. The sample is illuminated by a light guide, either along the optical axis or over a suitable light guide holder. Flexible choice of measuring systems: at least one lower glass required for bottom view. Glass-thickness-corrected lens with 20 times magnification is required.